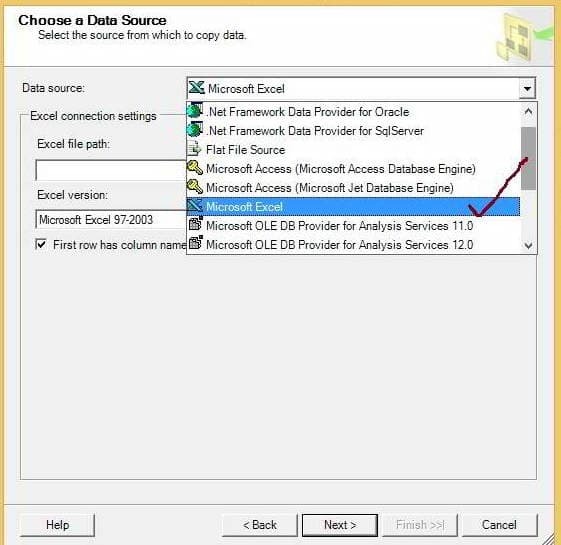 Below screenshot will show you the data present in the source.xls Excel file. 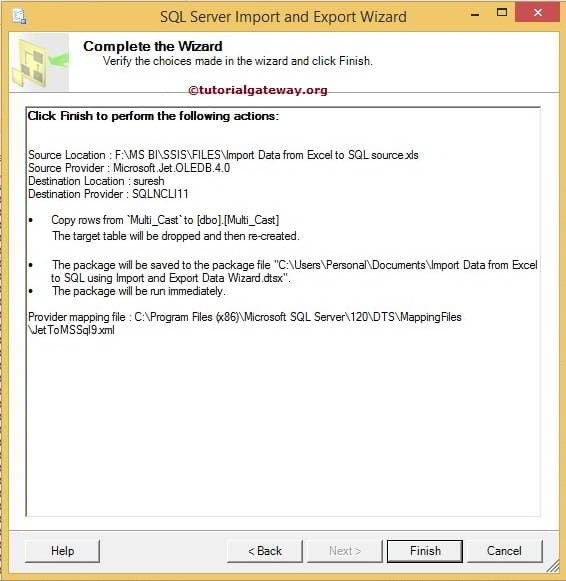 In order to Import Data from Excel to SQL Server Using SSIS Import and Export Data Wizard, you have to open the wizard. 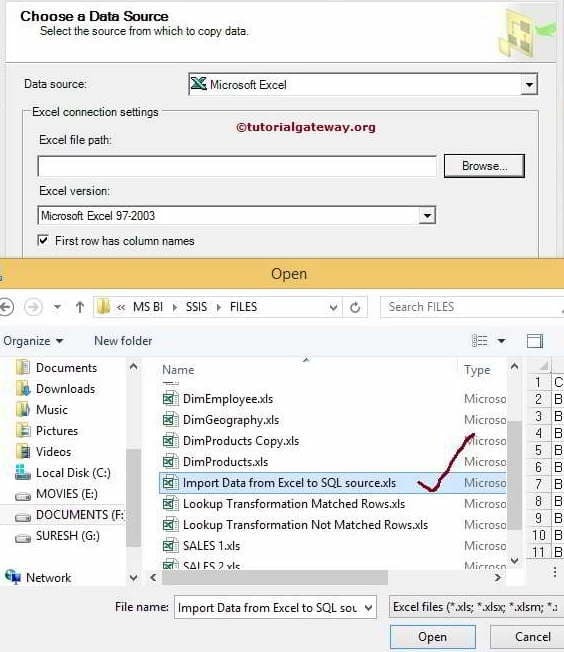 For this, If you are running on Windows 7 then, you can find in start -> All Programs -> Microsoft SQL Server 2014 -> Import and Export Data Wizard). 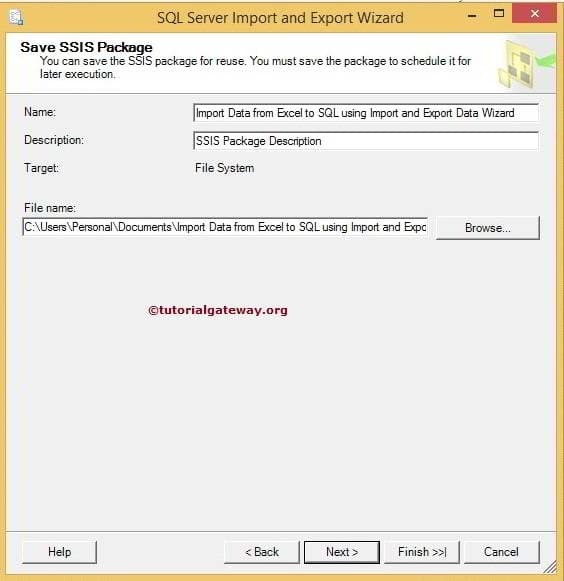 Double click on SQL Server Import and Export Data tool. 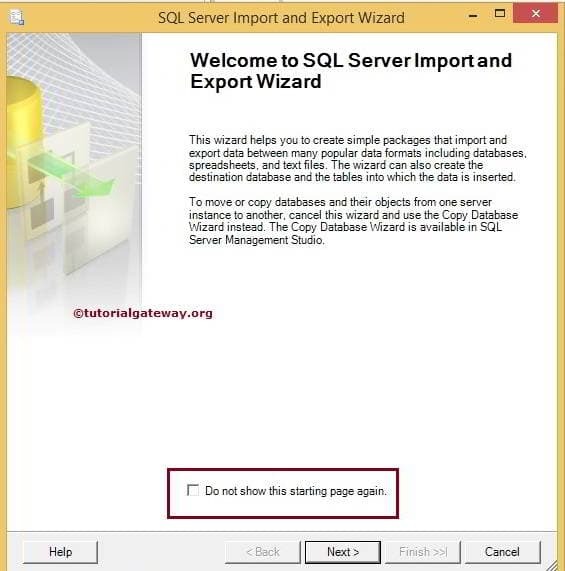 It will open SQL Server Import and Export Wizard. First page is the welcome page. From the above you can observe that we selected the Excel file. 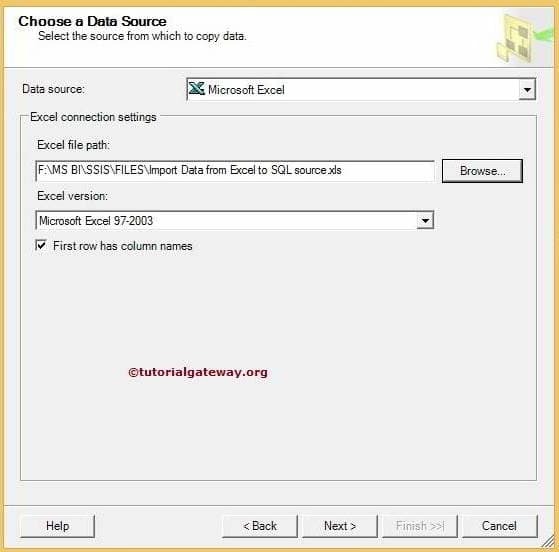 If your Excel file include column name in the first row then, tick the check box ‘Column name in the first data row’. If not, uncheck it. Choose a Destination Page: This page is used to configure the Destination information. 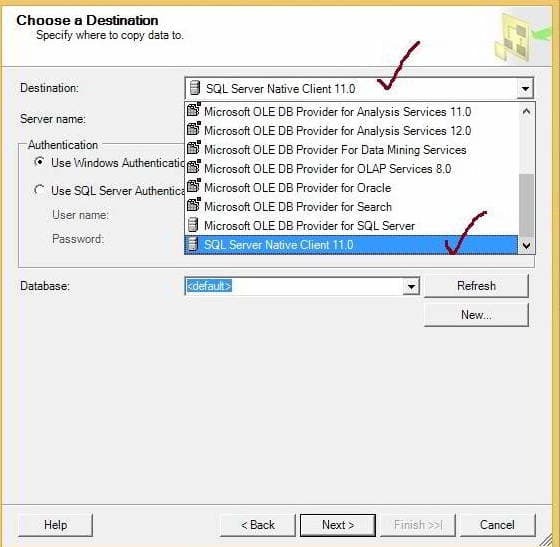 Our target is SQL data base so we are selecting SQL Server Native Client as our Destination and we are using our own instance as sever name. 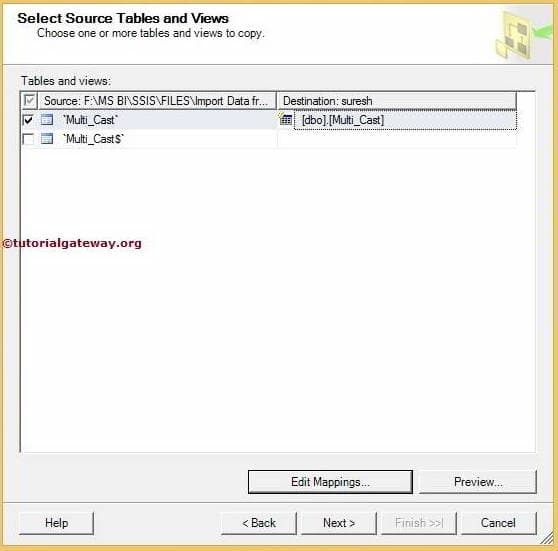 Authentication: Here we are using windows authentication but in real-time, your organization or company will provide the authentication credentials to access the database. 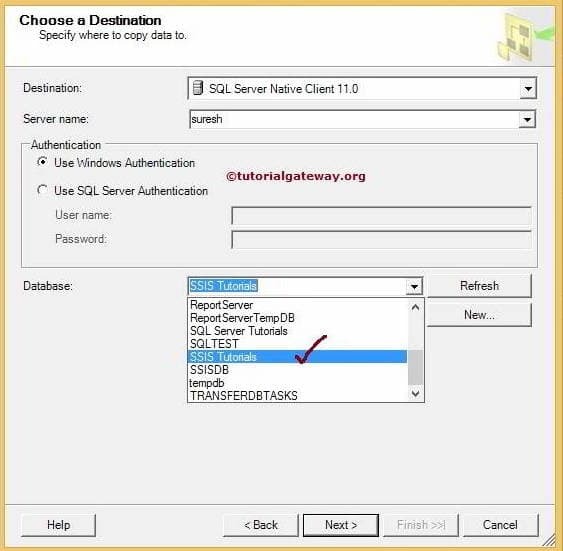 In that case, you have to change the radio button to SQL authentication and provide the user name and password. 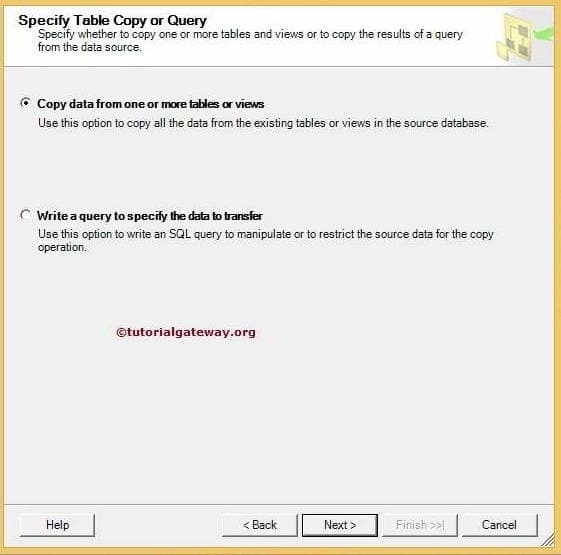 Write a query to specify file data to transfer options: This is the option we normally use because there will be unnecessary columns in every table so it is better to avoid them or selecting data with condition. 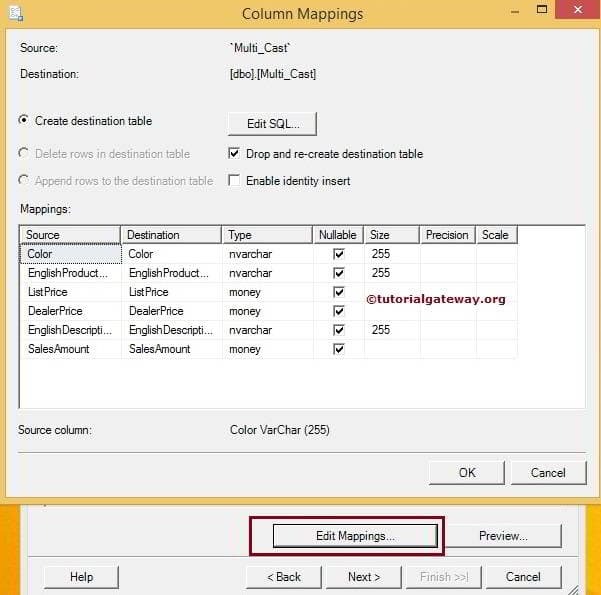 Here we can create new table or we can customize already existing table by clicking Edit SQL button. 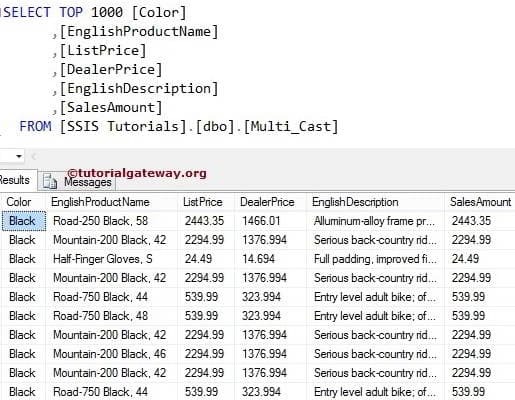 Preview button is used to see the column data.